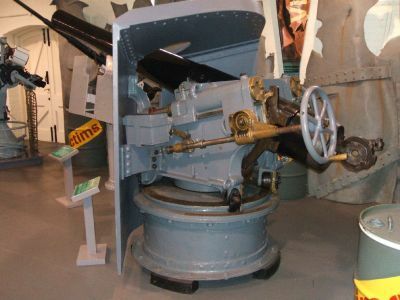 The 4-inch BL Mk1 on a Vavasseur mount was issued to the Volunteers as a coast defence weapon for training purposes. Many were mounted throughout the UK by 1904. 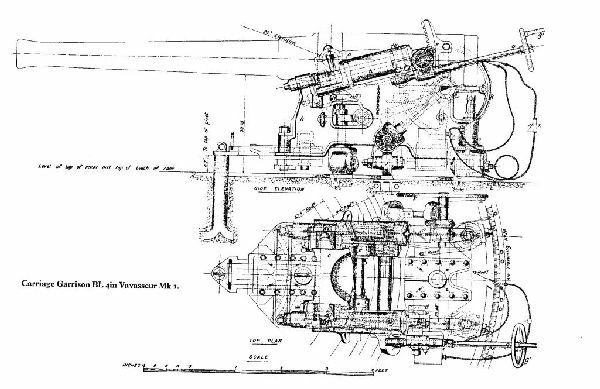 This 4-inch BL Vavasseur of 1888 can be seen in Priddy's Hard "Explosion" museum. Another is mounted on top of Calshot Castle at the entrance to Southampton Water. This piece is from H.M.S. Gannet. 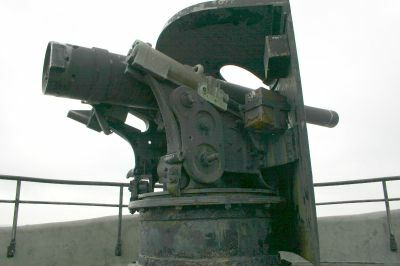 It is mounted on a position for a 12pdr QF gun.